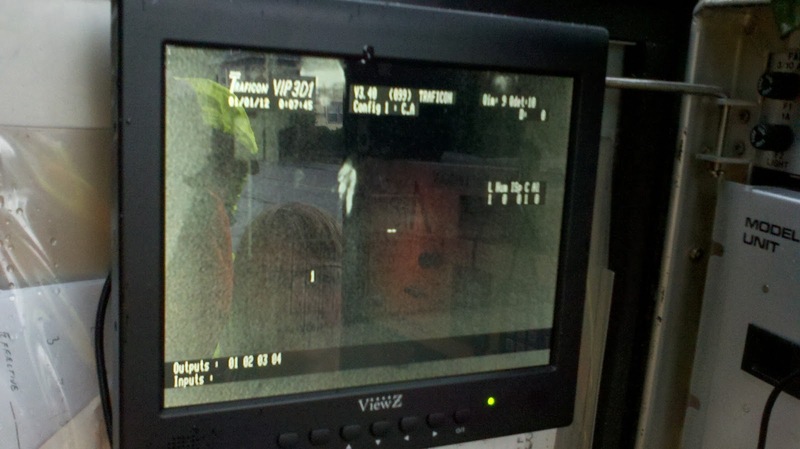 The first person detected by the thermal imaging camera in Portland. 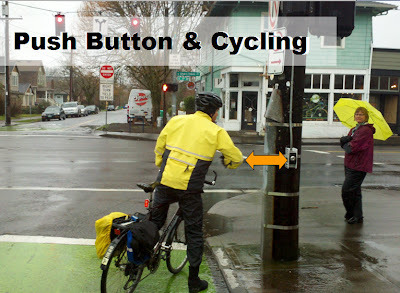 I presented on the topic "Innovations at Traffic Signals for Cycling" at the most recent meeting of the Oregon Section of the Institute of Transportation Engineers. There were a few new things we had done in the past year that I felt compelled to share information about. The most recent was a Thermal Imaging Sensor. Before I go into detail on that, let's review some of the recent innovations we have implemented in the past year. 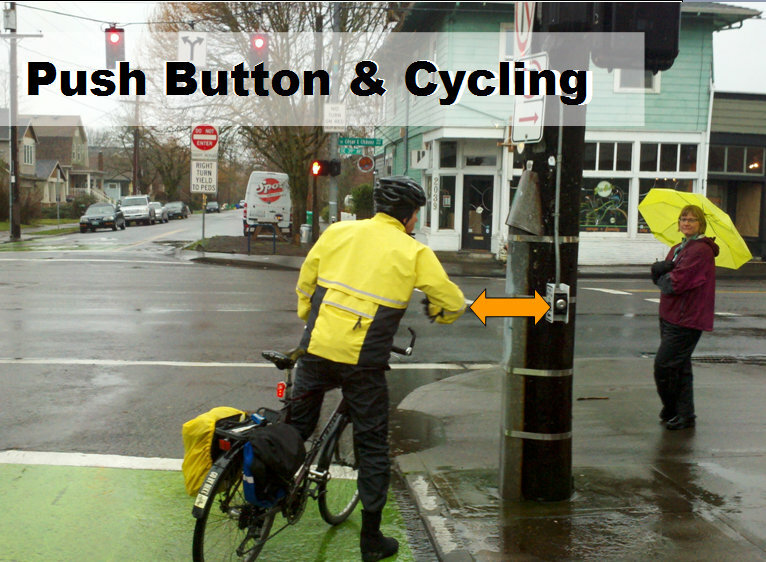 In June, we repurposed our school zone enforcement light as a bike detected confirmation light. We have installed these at two locations and the response from their use has been very positive from the user community. 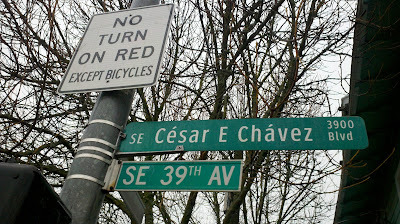 One of the reminders from the meeting was something that Rick Nys, the Clackamas County Traffic Engineer mentioned. 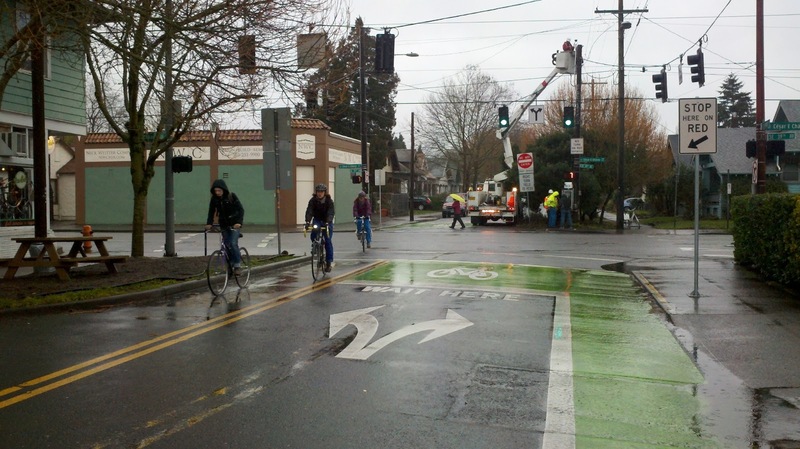 He highlighted that the County used feedback from BikePortland.org to guide their improvements of the first bicycle signal in their system. He also mentioned that the response from the bicycling community was so positive that "it makes them want to do more of these types of projects". The other innovations that I described included the Dutch Bicycle Countdown to Green signal I have described before, but haven't found a way to bring to the U.S. 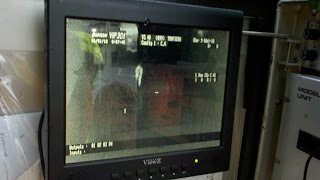 The newest innovation that we're studying is the use of a thermal imaging camera made by Flir/Traficon. 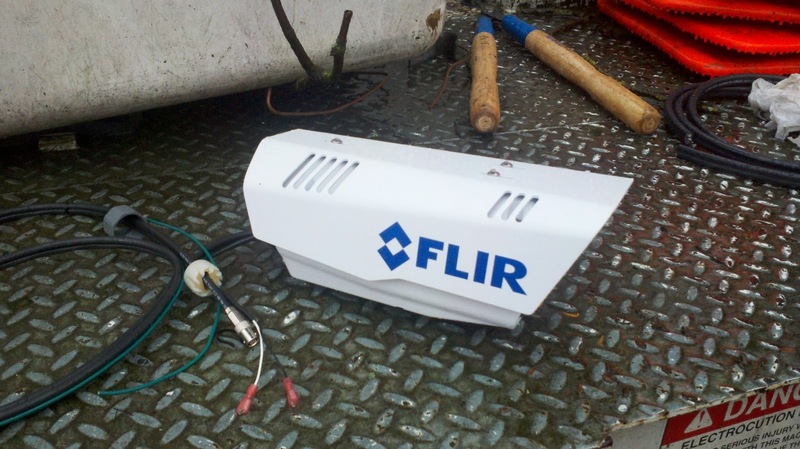 Traficon was recently purchased by Flir and it is interesting to consider a company like this getting into the traffic business. That hasn't always worked so well for other companies, but I am hopeful that they will be in it for the long haul. The good news with this situation is that there is an existing expertise with Traficon which is a Belgian company. 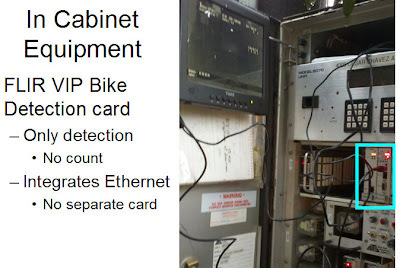 The company representatives that we met with during the install of this unit suggests that we should be able to do what we want to detect bikes and distinguish their heat signature from that of a car. 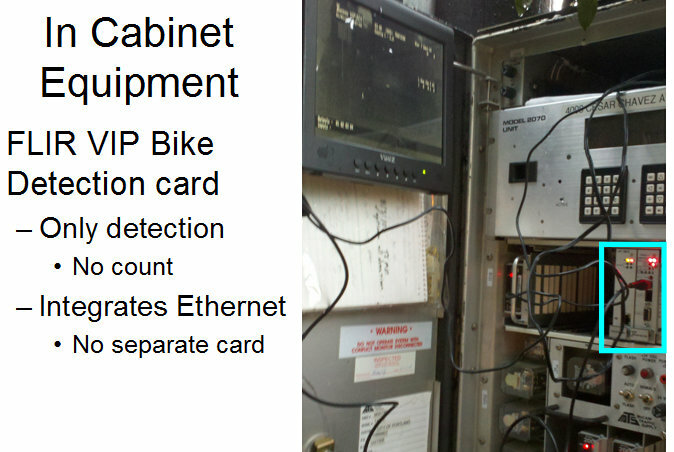 We'll study the equipment similar to what we did with the microwave and video detection at the Broadway Bridge NW Lovejoy intersection. Here's a summary of the presentation in pictures. bike route that is busy during the commute periods. people on bikes outnumbered vehicles even on a rainy day. but we do have access to the images back in the Traffic Operations Center. I am looking forward to having this studied and learning a bit more about future applications.